Think “Whose Line is it anyway” but instead of acting out suggestion a panel of artists draws them. The drawings will projected to screen live. 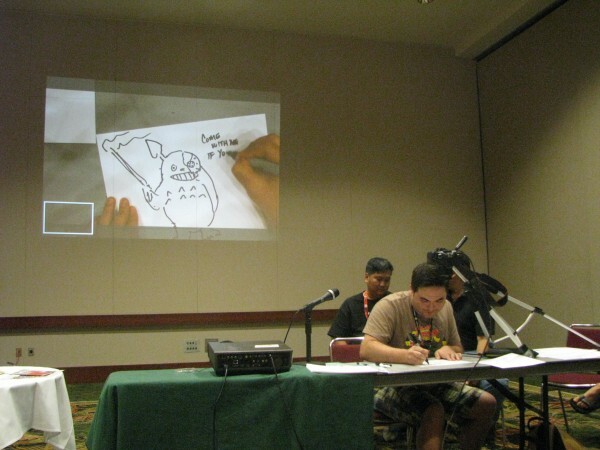 You can check out the panel they hosted at Kawaii Kon below!